Music is an important part of life with expressing ourselves as human beings. It is a way to understand cultural heritage of various nations. 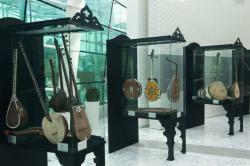 Music has always played an important role in the culture of Azerbaijani people. The national music was developing through the centuries. Its traces were found in a number of monuments. Rock carvings of Gobustan (18-3 millennium B.C) and Gemigaya (3-1 millennium B.C). Kitabi Dede Gorgud (8th century), creative works of Nizami, Fizuli provide full coverage of medieval music art. Mugham, one of the main genres of Azerbaijani folk music sounded in ancient times. Musicologists who are engaged in fundamental studies of the history of mugham, in general, are divided into two categories, each of which explains the appearance and subsequent development of mugham in its own way. Some of them believe that the emergence of mugham is related to the formation of Islam, while others take improvisation and its practical development as a basis. The 20th century was a turning point for the traditional art of mugham. An outstanding Azerbaijani composer Uzeyir Hajibeyov created "Leyli and Majnun" mugham opera, based on a synthesis of mugham and European classical music. Another great composer Fikret Amirov introduced mugham for symphonic orchestra. His symphonic mugham was based on classical folk pieces and was performed by many renowned symphony orchestras all over the world. The next step in developing mugham was made by Azerbaijan's living vocal treasure Alim Gasimov. He was one of four Azerbaijanis among the 500 most influential Muslims in the world , chosen by competition, conducted by the Center for Strategic Studies and the famous American Georgetown University in Jordan. The world-famous mugham master, Gasimov was awarded the International Music Council-UNESCO Music Prize, one of the highest international accolades for music in 1999. 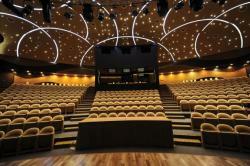 Azerbaijan pays great attention to the development and promotion of national music. Creation of the International Mugham Center in the City of Baku in order to widely promote in the world the Azerbaijani mugham, is of special importance among the projects accomplished towards the safeguarding of the national moral values and promotion of the Azerbaijani culture. 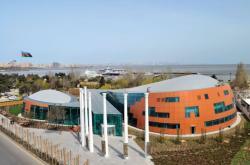 The International Mugham Center appeared in Baku in 2008. Spectacular design of the building was based on the elements and shapes of the tar, national musical instrument used in performing mugham. 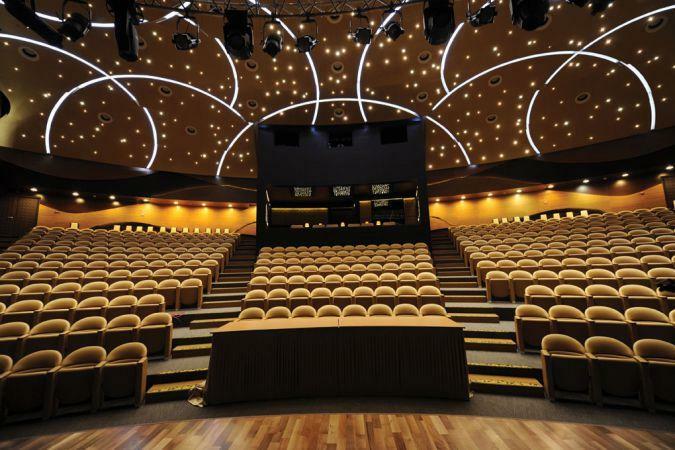 The center covers 7,500 square meters and has three stories. 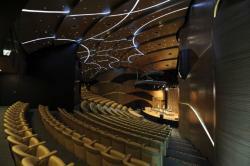 The building includes 350-seat concert hall, club, classrooms, recording studio, 80-seat restaurant "Ud". Equipments for the building were brought from Italy, Austria, France and Turkey. Over 2,000 glasses of different sizes were used in construction. International Mugham Center implements a number of projects devoted to mugham, ashug art, classical music, folk music of different nations, etc. Among them are such projects as "Mugham Evenings", "Evenings of ashug music", "Pearls of ethnic music", "Unforgettable", "Evenings of Dastan", Baku Summer Jazz Days and others. 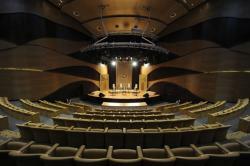 The center hosts mugham and jazz festivals, international conferences and concerts of various singers and music bands.